Gregory Gaultier of France retrieves a tough return hit by Amr Shamana of Egypt during the Showdown@Symphony squash tournament on Wednesday. 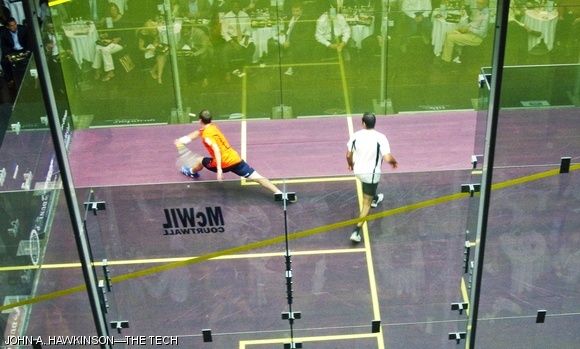 Each of the four professional squash players invited to play in the tournament at Symphony Hall has either held the World No. 1 ranking or won the World Open.